Professor Alexandra B. Klass teaches and writes in the areas of energy law, environmental law, natural resources law, tort law, and property law. 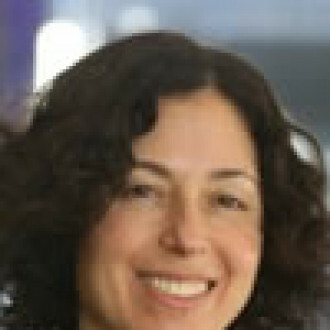 Her recent scholarly work, published in many of the nation’s leading law journals, addresses regulatory challenges to integrating more renewable energy into the nation’s electric transmission grid, oil and gas transportation infrastructure, and eminent domain issues surrounding interstate electric transmission lines and oil and gas pipelines. She is a co-author of The Practice and Policy of Environmental Law (Foundation Press, 3d ed. 2014) and a co-author of Energy Law and Policy (West Academic Publishing 2015). Professor Klass was named the Stanley V. Kinyon Teacher of the Year for 2009-2010, and she served as Associate Dean for Academic Affairs from 2010-2012. She was a Visiting Professor of Law at Harvard Law School in 2015. She is a Distinguished McKnight University Professor and in prior years was the Julius E. Davis Professor of Law and the Solly Robins Distinguished Research Fellow. Prior to her teaching career, Professor Klass was a partner at Dorsey & Whitney LLP in Minneapolis, where she specialized in environmental law, natural resources, and land use cases. During her years in private practice from 1993-2004, she handled cases in federal and state trial and appellate courts involving contaminated property, wetlands, environmental review, mining, environmental rights, zoning, eminent domain, and environmental torts. She continues to represent clients pro bono in cases involving environmental, natural resources, and energy law matters. She clerked for the Honorable Barbara B. Crabb, Chief Judge of the U.S. District Court for the Western District of Wisconsin from 1992-1993. Professor Klass has served in leadership positions in state and national bar organizations. She is currently on the Board of Directors of the Minnesota Center for Environmental Advocacy. She was a member of the Governing Council of the Environmental and Natural Resources Section of the Minnesota State Bar Association from 2005-2013, was a member of the Board of Directors of the Minnesota Chapter of the Federal Bar Association from 2001-2011, and served as co-chair of the Environmental Law Section of the Hennepin County Bar Association from 2000-2006. She is a Member Scholar at the Center for Progressive Reform, and a Resident Fellow at the University of Minnesota’s Institute on the Environment. Pipeline Takings: When Can Your Property Be Taken?